Angelique, an orphaned medical student living in Arcadia, receives a visit from Nyx (a benevolent billionaire who sits on the school board). Nyx tells that he is trying to form a group of magically talented combatants to fight against the monsters called Thanatos that have become increasingly violent. The purpose of Nyx's visit is to recruit Angelique into the team. He has read a newspaper article which reports that Angelique mysteriously cured a moribund man assaulted by Thanatos. Angelique turns down the offer, saying she cannot quit her school. Later, Angelique meets Rayne who is wounded by fighting against Thanatos and treats him. A Thanatos starts assaulting the school. Nyx tells Angelique it is her obligation to use her power to save the world. Rayne and Nyx fight with the Thanatos and tell Angelique to flee, but seeing her injured friend, Angelique has a flashback of her childhood when her mother was killed by a Thanatos. Her strong prayer to save her friend expels the Thanatos. Suddenly, whole Arcadia is enveloped in aurora-like light born from inside Angelique, proving that she is the only female "purifier". Nyx tells her she is a future Queen, messianic figure believed by many to be able to save Arcadia. Many of her future collaborators look up the sky in anticipation of Queen's arrival. The story takes place in a fictional world called Arcadia, where life-draining monsters called Thanatos plague the populace. The only ones who have the power to exterminate these creatures are Purifiers, but only a few exist. One day, Angelique, who is just a presumably normal girl attending school, is visited by Nyx, a rich gentlemen, as well as a Purifier, who created an organization comprised of Purifiers dedicated to eliminating Thanatos. Nyx is interested in the potential power she possesses and invites her to join his organization, but she refuses since she wants to become a doctor, like her father. However, when her school is later attacked by a Thanatos, she ends up activating her powers in her want to protect those in danger. After purifying the creature, she finds out she has a unique purifying power, and that is she the one that has been foretold in legends, the "Queen's Egg". It is then that her journey begins, and she becomes the only female Purifier in the world. 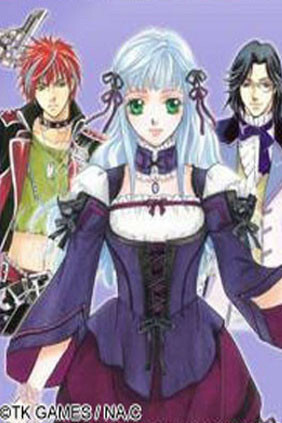 This series is noted as being quite similar to Kiniro no Corda, otherwise known as La Corda D'oro.